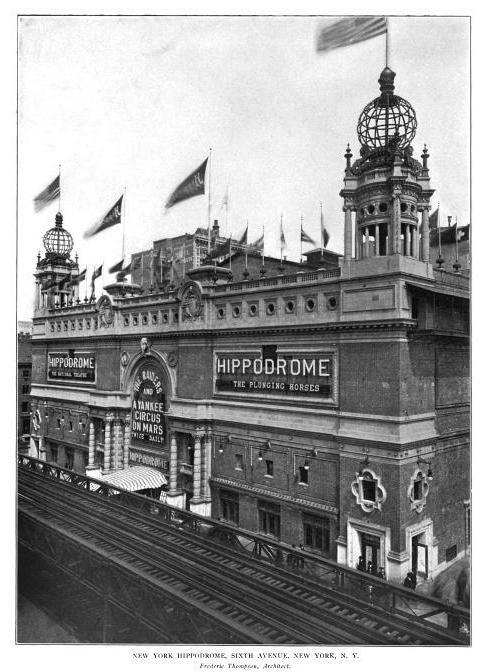 The New York Hippodrome or Hippodrome Theatre designed by Frederic Thompson and Elmer Dundy c. 1905 on Sixth Avenue between 43rd and 44th Streets in New York City. 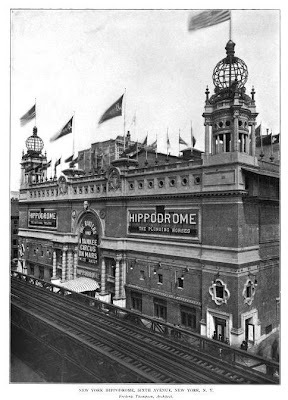 Click HERE for more on the Hippodrome which was unfortunately demolished in 1939. Photos from American Architect & Architecture, 1905. I always thought the demolition of these artistic civic buildings, halls and regal mansion's was a post WWII phenomenon, but the more I read your blogs it turns out just as many amazing and beautiful structures were torn down prior to that, and even before the great depression. I find that odd, since at the time of the gilded age, many American's tried to emulate Europeans, but they seemed to have ignored that most Europeans were preservationist's that tried to hold onto their architectural heritage. It seems to me from reading these posts, that American's have always been a "throw-away" culture....very sad because allot of great works of art have fallen to the wrecking-ball. A case of the wildly imaginative and exotic being replaced by the utterly banal and mind numbingly bad. So so sad. Regarding demolitions prior to WWII, one must not forget that NYC was a growing metropolis confined on an island. When the city grew, fashionable neighborhoods constantly moved northward, from lower Manhattan to Washington Square, to 14th street to Midtown, up through 5th Avenue. Great architectural monuments came and went very quickly as real estate values soared. Think A T Stewarts marble mansion on 34th St or Vanderbilts palace on 57th Street would have survived longer than they did as the neighborhood turned commercial? Also theatres and later movie palaces always seemed to have short life spans in NYC. The Roxy? The Paramount? 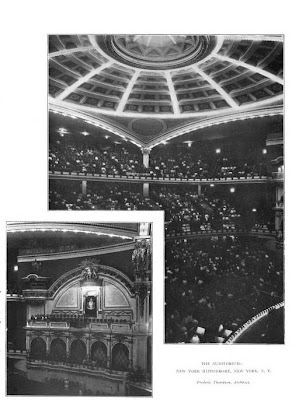 The Ziegfield? The Academy of Music? 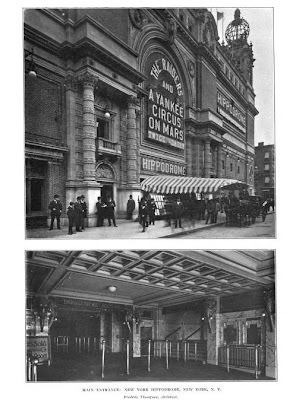 The original Metropolitan Opera House? All replaced by huge commercial/office structures. Sad indeed.